Once a bundle is purchased, the buyer receives a link to the bundle via email. Clicking that link leads to the bundle landing page. Right there at the top is a button for the Getting Started Guide, and a video message. Underneath that button there is a grid with topic labels. By opening the Getting Started Guide you get a pdf view of the product list that is clean and easy to look at. Further in the Guide there is a handy page for recording usernames and passwords for ecourses included in the bundle. You can print this page and put into your home binder. 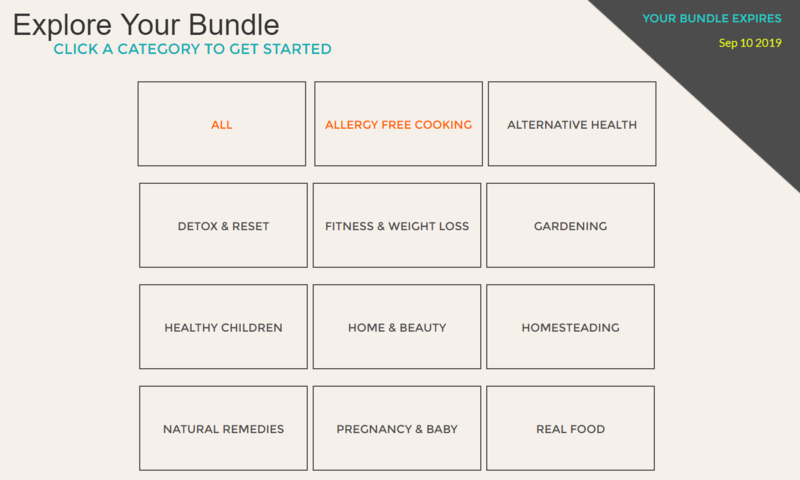 As you scroll down the page, you can also explore the bundle by topic. By looking over the getting started guide first, you get a good idea what interests you most about the bundle. The Ultimate Bundles then makes it pretty easy to find those products that you are looking for. If this post is helpful, or not helpful to you, will you say so in the comments? It helps a lot to know what content is helpful or encouraging. Thank you!